I tried to add a blonde streak to my hair not one, not two, but three unsuccessful times. I made so many mistakes, and all consecutively. I know, I could have went to a salon and found the instant gratification, but I enjoy the thrill and laboriously earned gratification of doing it myself. Alas, I have a streak (of sorts) but not the blonde streak I desired because each attempt had it's own set of built in errors. Nutritint is raved about by some of my favorite naturals, including fellow Sisterlocked fashionista and foodie Caramel A La Mode. Though it did lighten my hair the red deposits from my Shea Moisture mistake remained, leaving my hair with a bright red hue. I was told by a kind soul on Instagram that they use Nutritint, but have to double process their hair to achieve the results they wanted the first time. I think that an initial double process of Nutritint would have given me the results I desired, but I don't want to test the theory on another patch of hair. Out of desperation, I tried a non-natural brand (GASP), I know, so unlike me. I really wanted this blonde streak y'all and many naturals swear by their results with this made for curly to thick hair brand. Textures & Tones, however did nothing to my hair. I don't know why, but absolutely nothing happened. Today I was attempting to make this happen. Mixed the wrong damb color but it didn't take well so my hair is a browish red. I will re attempt tomorrow. 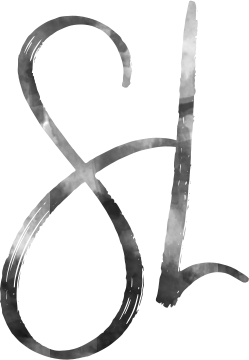 There are 3 types of color—permanent, semi or demi-permanent, and temporary. Permanent hair color requires the hair cuticle to be lifted and alters the proteins that gives you your natural hair color. Temporary color, often called rinses, puts a layer of color on top of the hair strand and will fade with several shampoos. 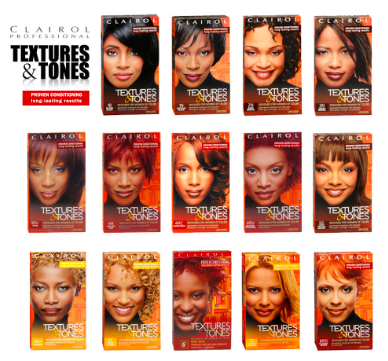 Coloring hair has less to do with texture (coarse, fine, etc.) and more to do with porosity. 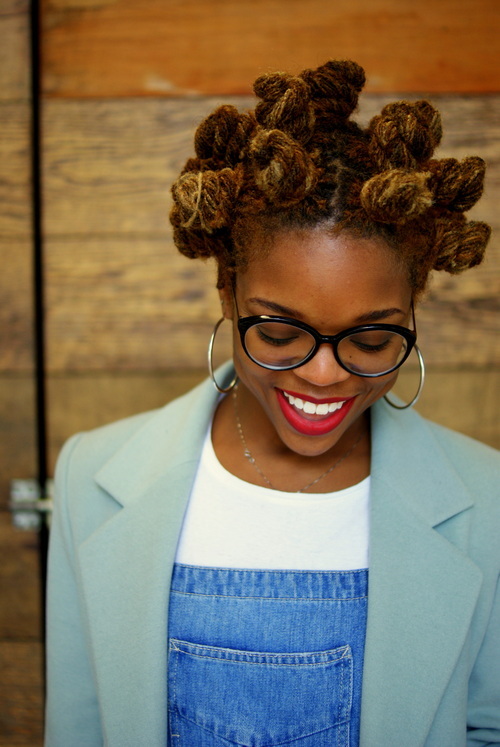 Porosity is the hair’s ability to hold and retain moisture. The layers of your cuticle have to lift to let color/moisture in AND they have to close back down to keep it in. In fact, coarser hair may be more porous and take color somewhat easier than naturally straight or looser curls. On the other hand, coarser textured hair can be overly porous, thus the cuticle's layers don’t close back tight enough to hold moisture in. This means extremely dry hair if not properly maintained. Going lighter from black or dark brown will require stripping the hair of it's current color and depositing the new color. Dark hair typically bleaches to a orange or yellow hue and the tone must be adjusted to achieve a more desirable look. The truth about ammonia-free —Ammonia aids the coloring process because it opens the cuticle and swells the hair strands so that the color can penetrate to the cortex. Sans ammonia, color change may not be achieved or is mild and may require multiple applications. This is due in large part to the fact that the color more likely will coat the strands instead of being absorbed if there isn’t a stimulant used to open the cuticle. Be aware of ammonia substitutes like ethanolamine, monoethanolamine, or MEA; they are equally, if not more, damaging to the hair. But because it isn’t technically “Ammonia” the companies then mislead consumers and advertise as “Ammonia-free” to insinuate a level higher quality of safety. Understand your developer —Developer is the peroxide or oxidizing component to the color chemistry. All Permanent color comes with developer, which is the chemical that strips out your natural color and makes it possible for the artificial color to work its way into the cortex of the hair, where the color molecules live. 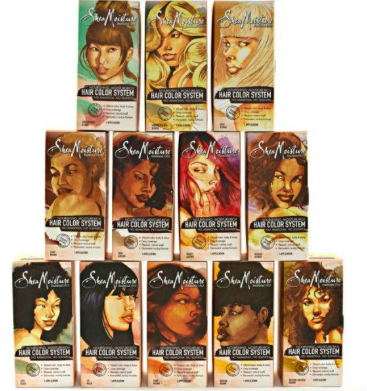 Places like Sally's Beauty supply offers the option to buy your desired hair color and then choose a developer: 10 volume, 20 volume, 30 volume, and 40 volume. With 10 being the slowest acting developer and 40 is the fastest. Think of the volume of your developer as the amount of lift or lightening you want to achieve. A volume of developer that is too high can result in unnecessary lightening and significant damage to the hair. On the other side, a volume that too low may prevent you from getting as light as you initially desired. When going darker or changing the tone of your hair, like going reddish brown and one shade darker than your current color, 20 volume is a probably a good bet. When working with very fine and fragile hair or light, try to stick with10 volume. When highlighting very thick dark coarse hair, usually 30 or 40 volume is necessary. So, to put it simply, 20 volume is a safe bet and if all this is over information and gibberish to you, consider going to a professional. Be aware of toning. Say you are already bleached blonde and you don't want a yellow blonde but a more icy blue blonde (yes that is a thing), toner helps achieve that. Avoid refreshing permanent color. 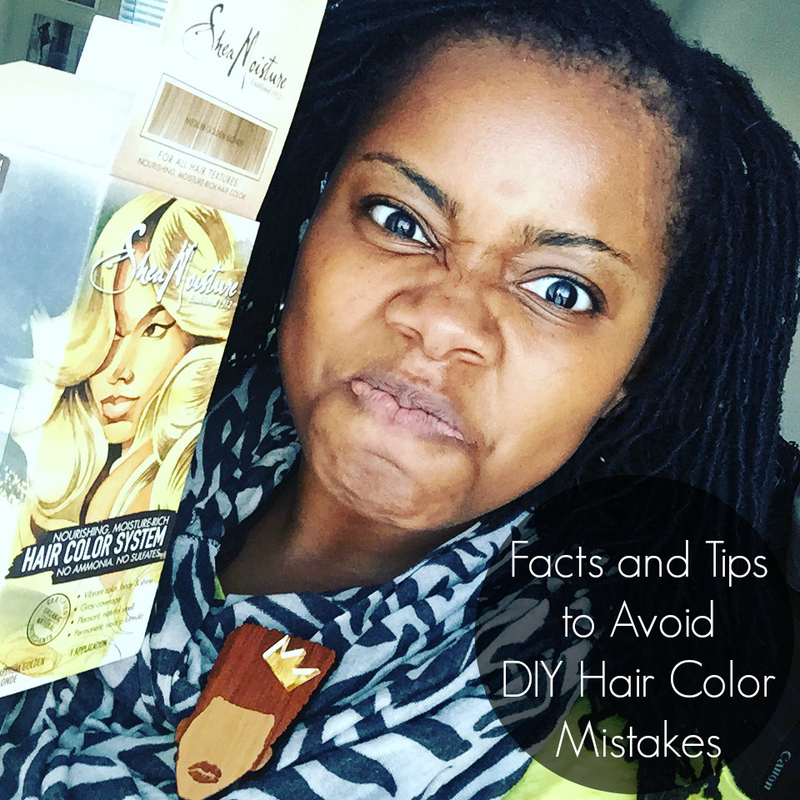 Double processing because hair color that is dull or faded is not a good idea and may cause irreversible damage. Consider a semi-permanent rinse and hair revitalizing treatments. Bleaching is not always necessary. In lieu of bleach/lightener, hair virgin to color can be lightened with peroxide, which can be slightly less harmful. Gray hair is more resistant to color. Using the right level of developer, allowing the right amount of time, and accounting for the lack of color pigment when changing to say a particular red or darker color. Prepare yourself for damage. 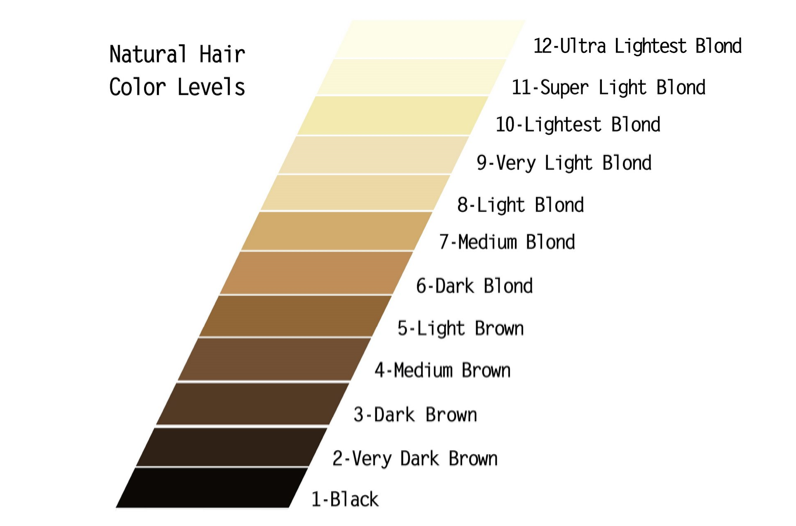 Hair that is colored, more specifically lightened will likely be dryer, weaker, and likely thinner. Always strand test! This will give you an idea of color and time necessary to color. In the even the color is undesirable or you need to give another 10 minutes, the strand test will save you a bunch a heartache. 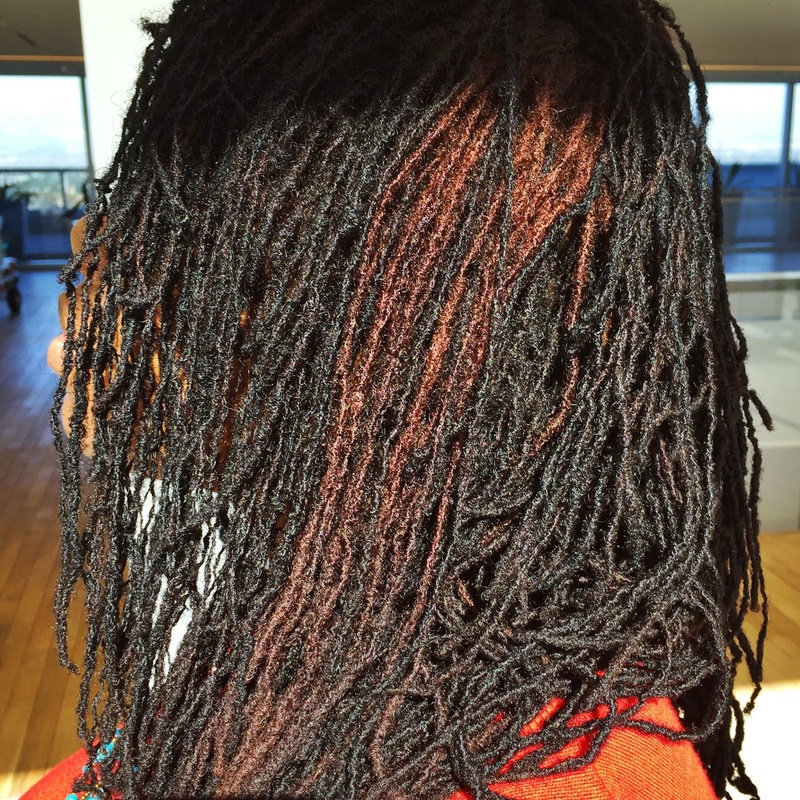 Routinely deep condition before and after coloring hair to avoid dryness. All I wanted was a patch of blonde Locs. Major crisis was averted though, I now have a patch of slightly reddish brown Locs. I can't do a whole head of non-black hair. For me, black hair is prosperity and comfort! I'm going to attempt again with #nutritint from whole foods. I will have a blonde patch! You should avoid hair color if.. Your hair is already damaged. You are more focused on healthy hair or hair growth journey. You don’t have much more time to spend on your hair. Here is a little video from Naptural85 that breaks it down pretty well. I am currently back to black hair and using a herbal-based natural brand.